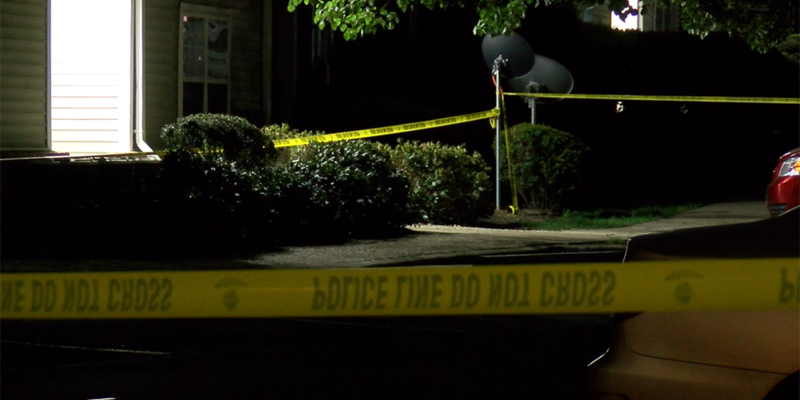 CHESTERFIELD, VA (WWBT) - Three suspects have been charged in connection with the death of a 19-year-old Chesterfield man. Antwoine Durham, 21, Darrell Wilson, 24, and a 16-year-old girl have been arrested in April 29 shooting death of Breland Poole on Burnt Oak Drive in Richmond. All three are charged with first-degree murder. Durham is additionally charged with use of a firearm in commission of a felony and possession of a firearm by a convicted felon. He is incarcerated at Riverside Regional Jail. Wilson is being held without bond at Chesterfield County Jail and the 16-year-old girl is being held at Chesterfield County Juvenile Detention Home. The three suspects are known to each other. Poole was a graduate of Thomas Jefferson High School where he played football and loved marching in the band. His death has been hard on family members who say they’re struggling to comes to terms with it. "Lots and lots of prayer," Breland's mother, Barbara Poole, said. Holding a photo of her only son from his high school graduation, Barbara Poole can't believe Breland is no longer here. "What this person did, he didn't only do it to himself, but he did it to this whole family," Poole said. "He helped crush a whole family and for no reason. I don't know what the reason was." Shattered glass remains on the scene where Breland was parked at the Ivy Walk Apartments in Chesterfield, just 3 miles from his home. Relatives don't know why he was there Sunday night when he was gunned down around 10:30. "We're all hurting right now, to know that somebody shot my brother in the chest three times and then just left him there is sickening," his sister Breniedja Poole added. "You only get one big brother, and um, it's hurting me that they took mine." Family members say Breland Poole was a loving uncle to his nephew. "You just took my best friend, you just took my brother," Breland's sister Breana said. "You took my son's father figure." A cousin said Breland wasn't a trouble-maker. He enjoyed waking up to go to his job as a construction worker. "He's not one of those kids that you can see out here that's selling drugs and holding guns, running wild doing all that," a cousin said. "He was nothing like that. This is a nightmare." What hurts the most for the Poole family is the cloud of questions they have in the wake of the shooting. "I just want to know why?" Barbara Poole said. "Please just explain to me what did my son do to you to take his life like that?"